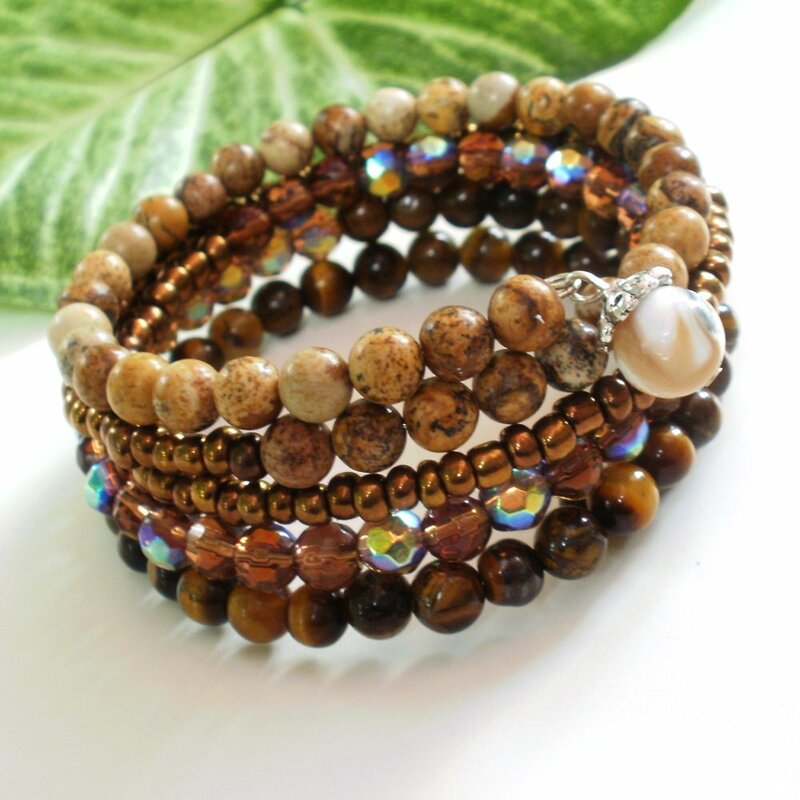 This handmade showy bracelet wraps several times around your wrist creating a coordinated stacking bracelet look. Assembled with an eclectic collection of beads. Bronze Czech glass beads, brown faceted Glass crystal beads, brown Tiger eye gemstone and the end has a sea shell charm dangle. Dresses up any outfit. No fiddly clasps to battle with. Due to the very flexible memory wire base, you simply wind on and off your wrist. Wraps most wrists 4 -5 times.